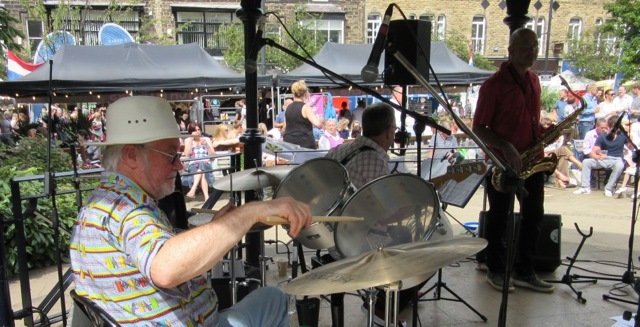 At our show in Pateley Bridge during the Sandhouse Stompers Coast to Coast Mardi Gras, we met amateur musician Les Goldman, who generously offered to donate the proceeds from his band's next show to the Favela Brass project. 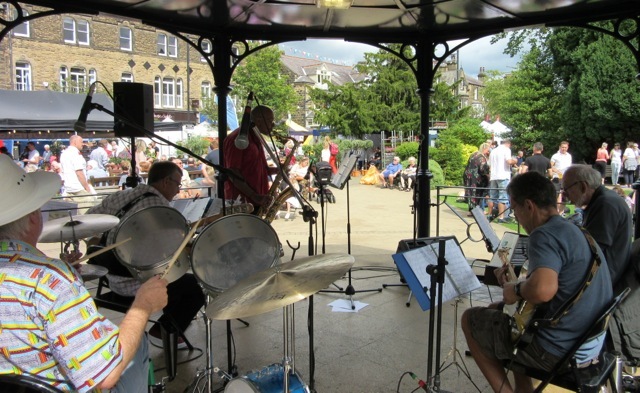 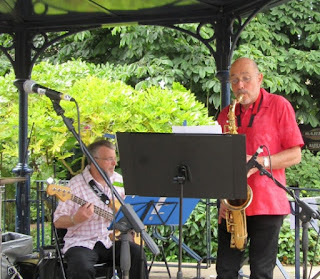 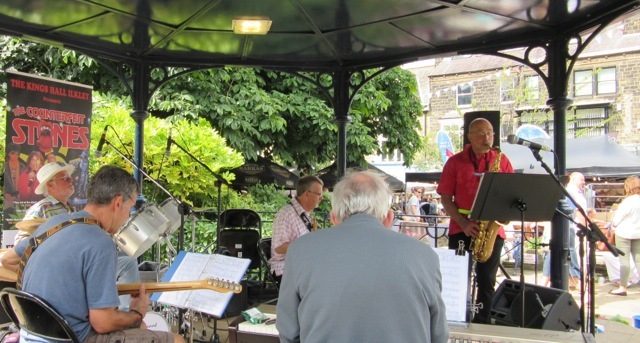 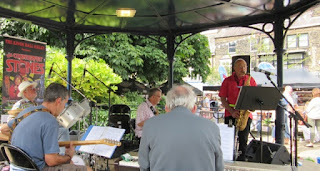 Last weekend the band, called The Band Upstairs and based in Guiseley near Leeds, played on the bandstand in Ilkley to entertain shoppers at the weekend Continental Market. The band played from 14:00 to 15:30 and raised altogether £98.40 for Favela Brass. 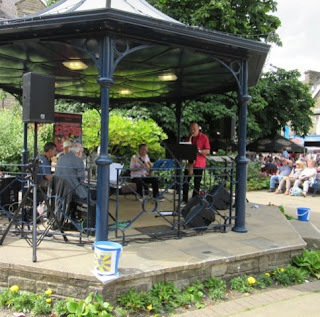 Thank you ever so much to the members of The Band Upstairs - yet another act of kindness on the part of fellow musicians to help the project on its way!